I am committed to improving public education for Michigan residents from Head Start to technical and post-secondary opportunities. I believe all Michigan citizens are entitled to an affordable, quality education. I am steadfast and committed to bringing good paying jobs, new businesses and economic development to the greater Ypsilanti community. I strongly support protecting retirement and pension benefits from taxation and providing resources for senior citizens. I will continue advocating and working diligently to increase funding for public and mental health services. I believe public safety can improve through law enforcement community engagement programs and investing in measures to reduce poverty. I believe in transparency and accountability where campaign finance and government operations are conducted with true openness. Governing in the real world requires leadership, passion, commitment, collaboration and hands-on experience. 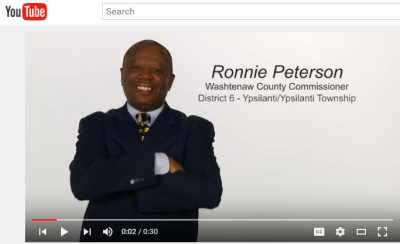 I am asking for your voted to continue serving as a strong voice for economic development and regional cooperation in greater Ypsilanti. I am a champion for promoting well-being, a healthy community and the "quality of life" by fighting for regional recreational programs including the addition of numerous bicycle and walking trails in our Washtenaw Eastern County Park System. I am an early supporter of the Ann Arbor Transportation Authority's county-wide transporation system providing low cost travel to work and educational opportunities for residents. The investment in public transportation reduces carbon emissions and pollution supporting our efforts to create a sustainable environment. 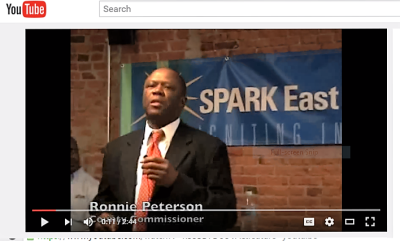 I am also fully committed to contributing to the community by serving and participating on numerous nonprofit and charitable boards and committees. Leadship, Experience and Results count and are critical in determining the qualifications for your State Representative. My record of public service, advocacy and successful delivery of services demonstrates my commitment fo the community. Give me the opportunity to represent your interests in State government so I can continue fighting for legislation, services and resources that benefit the 54th District. Thank you in advance for your consideration in voting for me, August 2, 2016.